Is Your ACA Reporting Service Legit? With this year’s tax-filing deadlines looming large, many employers are feeling the pressure of the new reporting requirements under the Affordable Care Act (ACA). In addition to annual 1099 and W-2 filing, applicable large employers (ALEs) with 50+ full-time employees must report healthcare coverage information to employees and the IRS through the 1095-C (and transmittal form 1094-C). To meet the recently extended deadlines, you must first gather the necessary data for full-time employees and covered individuals; then you have to complete a 1095-C and distribute it to eligible employees by March 31 and file it with the IRS by June 30 (if filing electronically). The data-gathering and tax-filing process cuts across different departments and resources in your business – and often requires professional assistance to manage it. Who can you rely on to file your ACA forms? How you can be certain the service is reputable? And because this service will be handling sensitive information – like Social Security numbers (SSNs) and cost of coverage – how can you be sure it’s secure? Many businesses are coming out of the woodwork right now, claiming they can help employers with mandatory ACA reporting. Truth is, some are only taking advantage of an emerging opportunity – and don’t have the expertise or sophistication to meet your needs and keep your information safe. Worst still, others are downright scams. Without the credibility or background to handle these types of filings, a new business is asking you to take a leap of faith and trust they’ll do the right thing. This is no time to test a new business or assume they have your best interests in mind. efile4biz.com is an industry leader and pioneer, backed by a team of highly qualified and dedicated experts. Seasoned tax professionals ensure a practical tax-filing process from start to finish, and a legal staff keeps abreast of the latest tax-filing requirements. Working with a provider that isn’t authorized by the IRS is asking for trouble. 1099s, W-2s and 1095s are all IRS tax forms with very specific requirements – why would you choose a tax-filing service that isn’t approved by the IRS itself? The risk of incomplete or late filings – and the related penalties – is too great. efile4Biz.com is an IRS-authorized e-file provider that underwent a rigorous screening process to obtain an official “stamp of approval.” Many tax return preparers or online tax-filing services don’t ever undergo this process – or were denied, but continue to operate without IRS authorization. In today’s digitally focused world, data security is vitally important to avoid breaches, identity theft and other cyber threats. Yet many e-file providers are nothing more than mom-and-pop businesses storing sensitive data, such as SSNs and tax IDs, in homegrown databases. Just as alarming, they may print and mail forms out of their garages. All data you enter on efile4Biz.com is encrypted under strict IRS guidelines and printed from a high-security, SOC-certified and HIPAA-compliant print and mail facility. You can be confident your sensitive data is guarded against tampering and identity theft through the latest, most stringent business practices. Especially with the new ACA reporting requirements, you’re bound to have questions. A less-than-reputable service may pull you in with its initial offer, but leave you hanging if you encounter snags or need help. They’re only looking to make transactions – not build lasting customer relationships. efile4Biz.com is right by your side, whether it’s your first or your 500th filing. Professional support with friendly Customer Service reps is available via a phone call, email or chat session. A robust Knowledge Base and helpful online tutorials can answer a lot of your questions, as well. 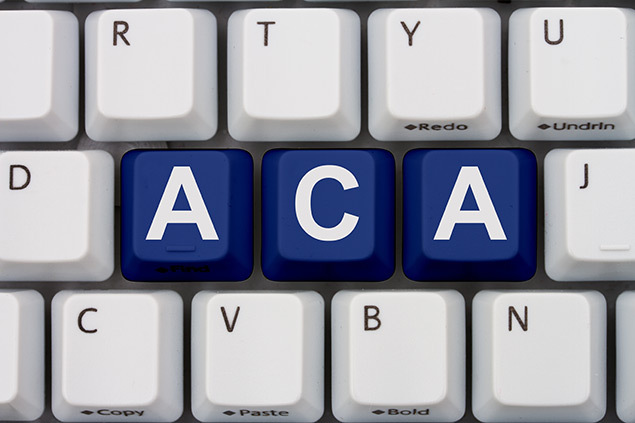 Finally, the Resources area of the website clearly explains the new ACA reporting requirements and how they impact your business.